Saturday, May 5th,8a.m. to 1p.m. at First Congregational Church of Webster Groves, 10 W. Lockwood (corner of Elm and Lockwood). 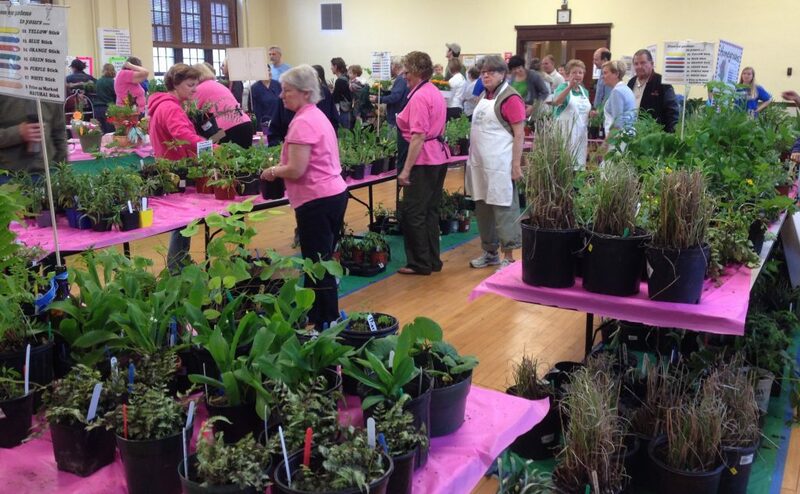 Webster Groves Women’s Garden Association will offer truckloads of donated perennials from local gardens (including hosta, ferns, natives, daylilies, butterfly favorites, and Plants of Merit) with Master Gardeners on hand to answer your questions. The event will also feature nursery grown NATIVE plants, member-designed container gardens, Bake Sale, Silent Auction, and a “Gardener’s Wish List Collection” raffle! Just in time for Mother’s Day! Come see why patrons return to our sale year after year! Proceeds benefit community gardening projects and horticultural learning outreach in the schools. Interested in Donating Plants from YOUR yard? Our annual plant sale is unique in that we actually dig up, divide and pot truckloads of plants from our own members’ gardens. We are able to offer good size specimens at a reasonable price. It is a massive undertaking but our patrons and community reap the benefit! The profits are primarily used for our Horticultural Educational Outreach Program in the Webster Groves Schools and for community beautification projects (especially Ruhe Park at Elm and Glendale). Occasionally, non-member community members come to us with plants to donate from their yard—perhaps because of new landscaping plans or a need to downsize their garden. We can come and dig up the plants for you if necessary and whisk them away to our potting site! We don’t accept anything invasive or “unsellable” like common orange daylilies or certain grasses. Please email us before April 10th if you have some nice plants that need a new home: [email protected] or [email protected]. Thank you for thinking of us and your community!